Access webinar and purchase membership. If you want to engage people, show them a picture, tell them a story, or do both - show them a graphic that tells a story. Graphics provide you a different way to get your ideas across so people understand, learn, and remember them. Join us on March 15, 2018 from 6 pm to 8 pm for a live webinar where Lynn will show you how to use graphics in your instructional design. Lynn Kearny, CPT is a performance improvement consultant, visual thinker, graphic communicator, and artist. Member of ISPI, the International Society for Performance Improvement since 1981. Past international board member, multiple time awardee. 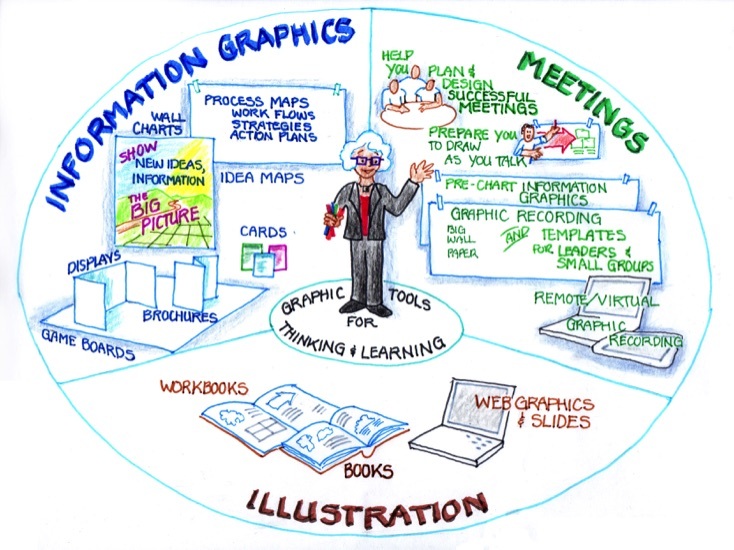 Charter member of IFVP, the International Forum of Visual Practitioners. Past international board member. The recording of the actual webinar.